Q. Is there any one denomination or church that is the only way to heaven? 6 Jesus said to him, I am the Way, the Truth, and the Life; no one comes to the Father but by Me. Q. So no specific church will get you to heaven? A. As Jesus said, no one gets to the Father except through Christ. No church gets you to heaven, only Jesus. Q. So I don't need to go to church then? 25 not forsaking the assembling of ourselves together, as the manner of some is , but exhorting one another , and so much the more as you see the Day approaching. We need to go to church so that we can grow in Christ, and learn the ways of God. We need to go to church because God tells us to do so. But in today's world, in many countries going to church isn't available. Also some people who follow God's word are sometimes asked to leave watered down church's. There are cases where going to church just isn't possible. Q. I need to go to church, but it doesn't matter which one? 8 But even if we or an angel from Heaven preach a gospel to you beside what we preached to you, let him be accursed. 24 For false Christs and false prophets will arise and show great signs and wonders; so much so that, if it were possible, they would deceive even the elect. Yes it matters, you should stay away from dangerous teaching. Because even God's elect can be deceived. Find a church that teaches the whole Bible, as much as possible. There are no perfect churches. The church continues to grow, as we as individuals grow. Churches are made up of people, people are not perfect. Stay away from: Mormons-the Church of Jesus Christ of Latter Day Saints, Jehovah Witnesses, and the Church of Christian Scientists. Also stay away from churches that do not believe Jesus is God. These are cults or occults. Q. Which day should I go to church? Do we need to follow a specific sabbath? Is sabbath Saturday or Sunday? 5: One man esteemeth one day above another: another esteemeth every day alike. Let every man be fully persuaded in his own mind. Let no one judge sabbath days. A sabbath can be a special day or any day, or every day. Yes the Old Testament had Saturday as Sabbath and yes the New Testament has some scripture for possible Sunday gatherings. 4: For he spake in a certain place of the seventh day on this wise, And God did rest the seventh day from all his works. 8: For if Jesus had given them rest, then would he not afterward have spoken of another day. 9: There remaineth therefore a rest to the people of God. 10: For he that is entered into his rest, he also hath ceased from his own works, as God did from his. This verse seems out of place, chapters 3 & 4 are talking of rest and sabbath when all of a sudden we get verse 12. The words "dividing asunder" in Greek is the word "merismos". It is the merismos of your soul and spirit which is the key to sabbath. Most christians do not even know the difference between their soul and spirit. Do you? Well, some refuse to believe they are different even though verse 12 separates them. Only the word of God can distinguish which is which. The spirit is that part of man that died when Adam sinned. It's that part which is born again, it's that part where God lives. It's that part where God speaks and moves. 21: Not every one that says unto me, Lord, Lord, shall enter into the kingdom of heaven; but he that does the will of my Father which is in heaven. It is possible to do the work of God and not please God. How you say? The secret is in verse 21, they have not done the will of the Father. God has a plan for each of us. A specific plan, but we go off to college to find our calling, or we do something that looks nice, fun, or some other reason for God. We don't go to Africa to evangelize just because it needs to be done, you go because God sends you. If He doesn't send you, don't go. I dare say, most work for God today is dirty rags in God's eyes because it is done by personality and soul, not by the spirit. 24: Verily, verily, I say unto you, Except a corn of wheat fall into the ground and die, it abideth alone: but if it die, it bringeth forth much fruit. 25: He that loveth his life shall lose it; and he that hateth his life in this world shall keep it unto life eternal. "There remainest therefore a rest to the people of God." Q. Why do bad things happen? Accidents, death... does God kill? 10 The thief does not come except to steal and to kill and to destroy. I have come so that they might have life, and that they might have it more abundantly. 1 John 5:19 NIV: We know that we are children of God, and that the whole world is under the control of the evil one. Q. What about the rapture? What does the Bible say about that? Q. How do you get saved? 16 For God so loved the world that He gave His only-begotten Son, that whoever believes in Him should not perish but have everlasting life. 9 Because if you confess the Lord Jesus, and believe in your heart that God has raised Him from the dead, you shall be saved. "Dear Jesus, I confess and accept you as my Lord and Saviour. I believe that you died for my sins. I also believe that God raised you from the dead. I believe and receive that I am now saved through faith in what you have done. Lord, I pray this in your holy name. Amen." Q. Can someone lose their salvation? Q. What are your Tenets? What is your Statement of faith? What is the Vision you are trying to accomplish? Q. Do you design all these pages yourself? Who do you host your site with? A. 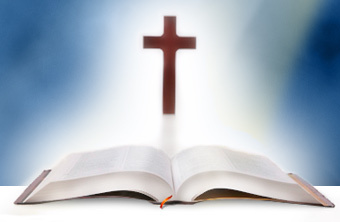 The Protected & Inspired Word of God - click there to learn about translations. Q. What's with all these abbreviations in the scripture references on your site? Q. Do you have a news page or a mailing list? A. I used to, but decided a blog took care of all those needs. So no, not any more. Q. What do you believe about military service or self defense? A. When I was single and had no children, I believed in trusting God to defend me. I would probably not have used any weapons in self defense. But now that I am a husband and father, I would defend my family with weapons. 7 Therefore give to all their dues; to the one due tax, the tax; tribute to whom tribute is due , fear to whom fear is due , and honor to whom honor is due. Q. Do you know of any critics to your teachings or website? He had a problem with my claim to have been in the presence of God. The sad thing is, many people who have gone to church have been in the presence of God and some have not even known it. I am sure I have been in God's presence many times and not known it, but I have sensed Him multiple times. I know of many many Christians who have sensed God's presence. He thinks my testimony is a story of delusion and lack of stability. He also claims that I have been hospitalized for suicidal tendencies. Which is completely untrue. At one point in my youth I had ran away from home because someone in my family was doing something wrong and I didn't want to uncover it, when my pastor questioned my reason for running, I let him believe I was suicidal so I could get out of the house until I found a way to deal with the situation. Eventually my I told my dad, and the situation was resolved. He went on to say on his website, that my motives were wrong for many of my actions. Of coarse they were! I admit my motives in my testimony and asked for God's forgiveness. Perhaps he has a problem that God chooses the weak things of this world to confound the wise. Because my life was very weak and miserable without God. 15 Nor do men light a lamp and put it under the grain-measure, but on a lampstand. And it gives light to all who are in the house. 16 Let your light so shine before men that they may see your good works and glorify your Father who is in Heaven. Hiding in a monastery is the same as hiding the lamp. We need to be a light to the world, we can't if we are hiding in a monastery. He went on to attack my testimony because I tried to get together with my ex-girl friend after this experience a week or so afterwards. He say's that such an action proves I had never encountered God. He is thinking that an encounter with God makes you sinless, which is absolutely false. However, I did NOT meet my girlfriend, and in fact ended the possible re-established relationship myself. He also goes on to say that Paul had such an experience. We can read that God told Paul to go to the gentiles, but Paul went to the Jews first. So Paul was a bit slow to obey God as well. He claims I have "Narcissistic Personality Disorder", of which is quite silly. Because while I was in the Navy and refusing to obey orders, the Navy performed tests on me for any mental illness. In fact tests were done on me more than once. I was found normal with very strong in spiritual beliefs. Prov:16:9: A man's heart deviseth his way: but the LORD directeth his steps. Ps:37:23: The steps of a good man are ordered by the LORD: and he delighteth in his way. Ps:85:13: Righteousness shall go before him; and shall set us in the way of his steps. 1Cor:16:9: For a great door and effectual is opened unto me, and there are many adversaries. Rv:3:8: I know thy works: behold, I have set before thee an open door, and no man can shut it: for thou hast a little strength, and hast kept my word, and hast not denied my name. ... and so on. There are others not so famous who preach many similar teachings. No, my teaching is not based upon experience only. My webpages are full of scripture and I have examples of others teaching nearly identical doctrines. I had another man create a blog to try and counter my blog entries concerning Randy Shankle and the Church in Marshall and make me look bad, I would share it here, but the blog address uses my full name, which I would rather not publish, but upon request I will gladly share it privately. Q. So who is Randy Shankle and the Church in Marshall? And what are they to you? A. Randy Shankle was a semi prominent Minister in the late 80's and early 90's and even was featured on TBN many times and he even had his own show on there. He also wrote the book "The Merismos", which helped bring about his popularity. He has since published other books, mostly through the Church in Marshall. Q. 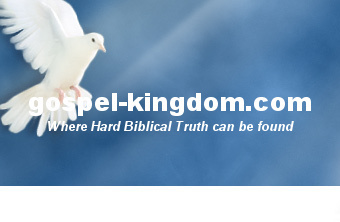 What happened to your original site: www.kingdom-gospel.com? At that time, GoDaddy was reselling the address, and I think they wanted $200. I was slightly tempted, but only for like 1/10th of a second. I hated them and I wasn't gonna shell out money for some address that wasn't so important, especially since I found that gospel-kingdom.com was available! Then lo and behold Randy Shankle and the Church in Marshall bought it! I actually had to laugh, and it kind of made sense. In the past they had spent money in advertising with Google, buying other web addresses, making blogs, all to beef up their internet profile and point to their website because my blog and website had HIGH search engine placement and theirs did not; that is over the search of "Randy Shankle". My blog, websites, and such, usually were in the top 10 results and often in the top 2. And I never paid a cent to get there, while they paid 100's of dollars if not a thousand or more. So of coarse, if they could pay $200 to get a top placement in search engines, as well as erase my pages I wrote uncovering their sins, it would be a "wise" investment. And while there may be some advantage for them, it doesn't pan out as they would want. Because I have a new site, and my blog is still up, and it gets high search engine results, but more importantly the damage is done. People already know the truth about Randy Shankle and the Church in Marshall. Which is why the Lord finally told me to stop blogging on them as I had. What needed to be said and uncovered has been accomplished. So that's the story of what happened to my website. Q. Is there any other ministries or men of God behind this website/ministry? Q. Who are you? How do I contact you? You can contact me by using the link at the bottom of the page. I am available to answer other questions, and would consider ministering at certain events or services. Please feel free to ask me any question, and I will try to help you as best I can. KNOW ALL MEN BY THESE PRESENTS - - that Saint Luke Evangelical Christian Ministries accepts (my name), having demonstrated by actions and by statement of faith a love for Our Lord Jesus Christ and His Word, into the world-wide ministry of Saint Luke Evangelical Christian Ministries. I, Rev. Dr. David M. Ford, on behalf of this ministry and all its members, do hereby select, appoint, and anoint you, (my name), a legally ordained independent minister of Saint Luke Evangelical Christian Ministries, and authorize you to perform all standard Christian religious services including the rites of marriage and baptism, on this day, November 24, 2004. Q. What kind of minister are you? A. I do not like to label myself. It can be prideful and turn away people if one runs around labeling oneself. You can know a tree by its fruit. Math 12:33 ...for the tree is known by his fruit. What are the contents of my site filled with? Evangelism, teaching, prophecy, church order, or milk for lambs? You read it and decide for yourself. One's website will reflect one's person, whatever is most prevalent will reflect one's gift or gifts.